January 2016 | Florida Law Advisers, P.A. Under Florida family law, many child custody cases and divorce issues require mediation. For instance, to enforce a parenting plan in Florida, the Judge will likely require you to attend mediation. Mediation is intended to help the two parties sit down and reach an agreement. Mediation involves the use of a neutral, independent mediator who is approved by the Court. The mediator is not associated with either party in the case, they are completely independent. The mediator will listen to both sides and propose solutions to help negotiate a settlement between the two parties. Each party has the right to have a Tampa child custody lawyer present with them during the mediation. 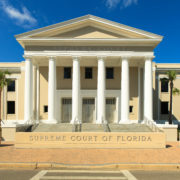 Unlike a Florida family law judge, the mediator does not have the authority to compel either party to enter into an agreement, or the power to decide the outcome. Typically, the mediator will be a Florida family law lawyer who is familiar with Florida law. However, the mediator must be independent and not associated with either side in the case. There are mediation centers in the courthouse, as well as private mediation facilities. In most instances, mediation provided at the courthouse will be less expensive than private mediation. In Hillsborough & Pinellas County Florida, all child custody or divorce issues that arise after the final judgment are automatically sent to mediation. See Administrative Orders S-2009-107 & 2011-006 PA/PI-CIR. For instance, if a parent is not complying with a parenting plan the case must go to mediation before a judge will rule on the mater. Likewise, if a former spouse does not comply with the terms of the divorce decree mediation will be necessary before a judge will hear the case. For more information on the administrative orders, contact a Tampa child custody lawyer for assistance. The Administrative Orders require both sides to enter mediation in good faith. There is no requirement that an agreement be reached, only to negotiate in good faith. If the dispute is not resolved in mediation it can then be sent to a judge to decide the outcome. If you need assistance with enforcing a divorce decree or parenting plan contact us to speak with a child custody attorney in Tampa. When the issues cannot be resolved through negotiations, we are prepared to go to court and fight aggressively for what our client deserves. With years of experience in family law litigation we are more than ready to present a compelling case on your behalf and to stand firm for what is fair. To speak with a family law attorney call us today at 800 990 7763, we are available 24/7 to answer your call.